Since our last post on this issue things seem to have only got worse for Finland. 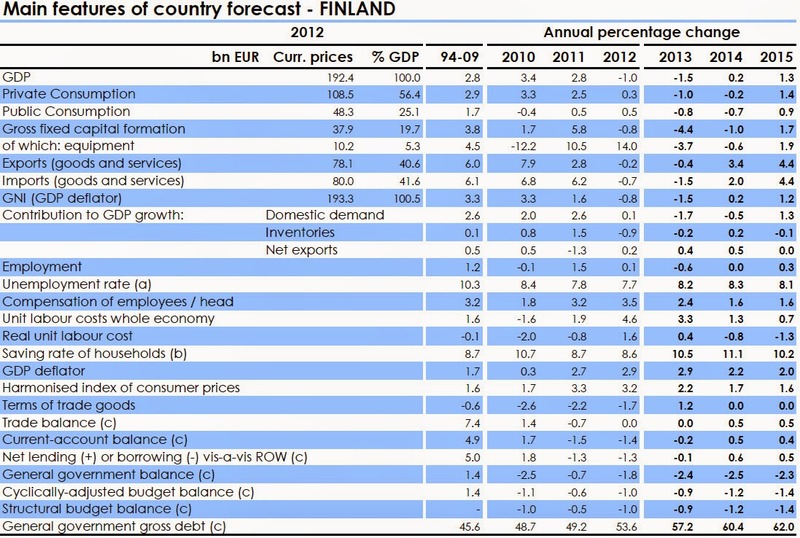 The European Commission’s latest economic forecast (see table below, click to enlarge) made pretty dire reading with Finland expected to be one of the worst performers in terms of economic growth over the next two years. As the second part of the quote suggests, the situation in Ukraine and the potential sanctions on Russia are also likely to worsen the outlook for Finland. The graphs above (data from Bank of Finland) highlight that Russia accounts for a decent chunk of Finnish trade and given the dwindling sources of growth any hit to this could certainly hamper the rebalancing of the economy and the reform/recovery process. 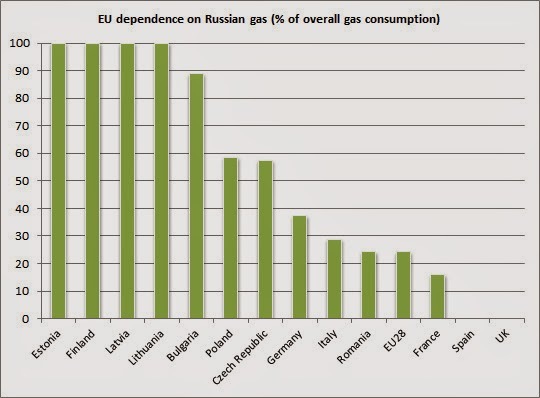 Furthermore, as we have flagged up before, Finland is one of the many countries heavily reliant on Russia for gas and energy more generally. With Putin’s threat to cut off gas to Ukraine the situation has potentially escalated another step, at least in economic terms, Finland is one (of the many countries, including Russia) which is on the front line. Once again, all this is not to say that Finland is an economic basket case, far from it, but that even the healthy economies in Europe are undergoing some serious overhauls and reforms, further complicating the crisis response and, now, dealing with issues such as the Ukraine-Russia crisis.